NEMOS is an innovative system for generating electricity from ocean waves. The incoming energy is absorbed by an elongated floating body and transmitted to a generator shaft by a belt system. Performing its motion on a curved trajectory and being controlled by the directly coupled generator, the floaters hydro-mechanical efficiency is way above standard technology. The system can be adjusted to changing environmental conditions so that energy output is maximized and loads are limited. To protect the system in heavy storms, the floater can be lowered to calmer waters. Das NEMOS-System stellt eine neue Generation der Wellenenergiewandlung dar. Durch seine optimierte Bewegungsbahn und die integrierte Steuerung "erntet" das System Wellenenergie wesentlich effizienter als andere Systeme zu vergleichsweise geringen Kosten. NEMOS is an innovative system for generating electricity from ocean waves. The incoming energy is absorbed by an elongated floating body and transmitted to a generator by a belt system. Performing its motion on a curved trajectory and being controlled by the directly coupled generator, the floaters hydro-mechanical efficiency is far above standard technology. The system can be adjusted to changing environmental conditions so that energy output is maximized and loads are limited. To protect the system in heavy storms, the floater can be lowered to a depth with calmer waters. Comprehensive tank tests are the basis of all NEMOS wave energy development activities. Under controlled conditions, the hydro-mechanical interaction between floater and waves can be investigated in order to improve control algorithms and maximize the harvested energy. The step from tank tests to real environmental conditions is a big one. 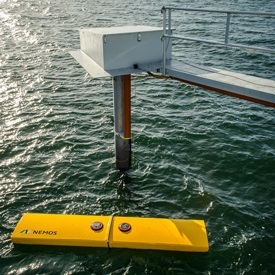 The NEMOS team challenged its own technology over several years by carrying out scale tests in Denmark`s Limfjord. At 1:10 and 1:5 model scales, the NEMOS system exhibited high efficiency, robustness and automated operation. 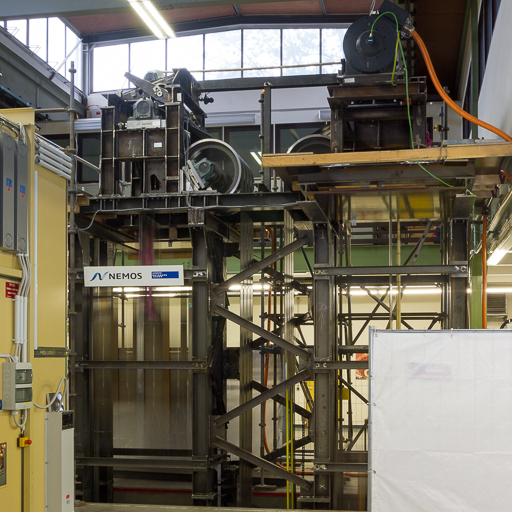 To analyze the efficiency of the power conversion path and gain experience in assembling and operating large components, a full scale PTO test bench was installed at the University of Duisburg-Essen. The simulation data verified the theoretical power predictions. Currently the team is focussing on the installation of a large scale prototype in the North Sea. 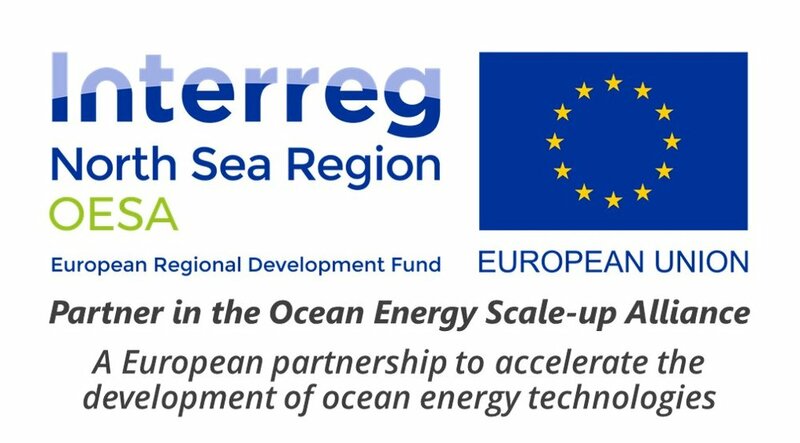 With a floater displacing more than 10m³ water and a fully equipped research station on an independent structure, the system will generate enough energy to supply several households with electricity.